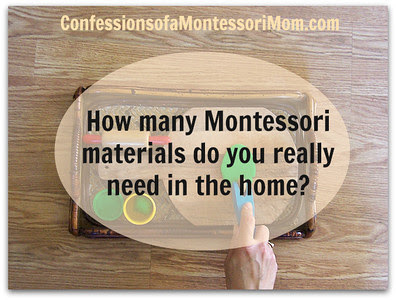 How many Montessori materials do you REALLY need in the home? A Montessori mom recently confessed in my Montessori Facebook group about the constant feeling of needing MORE: more Montessori activities and materials, more quality toys, more art supplies... When do you feel satisfied? When do you have enough!? "You are not alone!" Was my short answer. 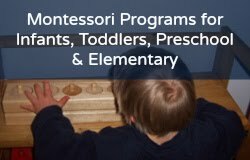 It is so easy these days to get sucked into all the Montessori materials and related activities that are now available online, on blogs, on Pinterest, and showing up in Facebook groups! There is so much out there compared to five and ten and fifteen years ago when I first started Montessori online! Here's my long answer: My family and I have a really tight budget. My time is limited. I'm craft challenged and impatient with making stuff. We have a small home with an over-flowing garage. So that pretty much stops ME dead in my tracks! But not having all those Montessori materials and activities can make you feel guilty; unsure of your job as a Montessori mom; and maybe even depressed. So much love to share! I dug out an old, dust-stained black boombox from my hubby's closet and set it up outside with music CDs from the library, as well as some of my old Motown CDs; and we listened and grooved to music outside in the sun every day. We gathered purple-red plums all summer and made plum apple sauce in our crock pots and some very sour prunes in our dehumidifier. 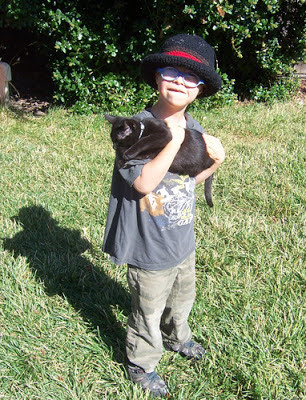 We took weekly trips to the library; had some play dates at a local farm; made fruit salad; and played with our new kitten, Neo. 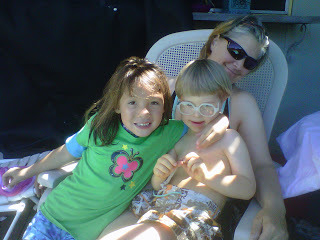 And it was the best summer we had together! It was so relaxing and stress free! Something money can't buy. You may also be interested in my my Montessori and homeschool PDFs and programs for birth to nine-year olds! 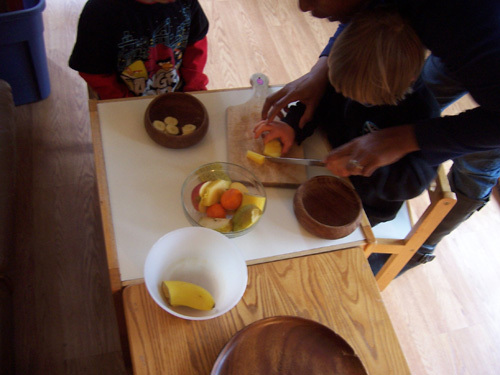 Need quality Montessori materials? 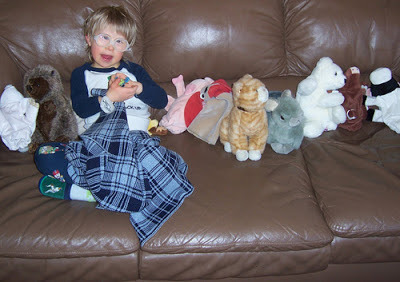 Shop at my favorite Montessori seller (and my affiliate), Montessori Services!